With the holiday season approaching quickly there’s no better time to talk about holiday marketing trends and how they should affect your holiday marketing strategy. The first step to figuring out where to best allocate your budget is to look to the past to see where consumers are finding their information. With the emergence of the shopping holidays Black Friday and Cyber Monday more and more consumers are expecting sales and deals as those dates approach. Last year 75% of consumers began deal hunting to get ready for Black Friday and Cyber Monday shopping at least two weeks in advance, with 24% of them beginning more than a month in advance. This is no surprise because for the first time, more people shopped online than in stores between Thanksgiving and Black Friday weekend in 2015. In fact, total online shopping in November and December increased by 13% in 2015 to about $69 billion. More importantly, Desktop saw a 6% increase in online sales while mobile saw a 59% increase. Because of this extreme shift in holiday shopping trends the season for gift buying has drastically changed. In 2015, 36% of Americans had started their holiday gift shopping by the end of September. Just because many people are beginning their shopping earlier doesn’t mean that procrastinators no longer exist. 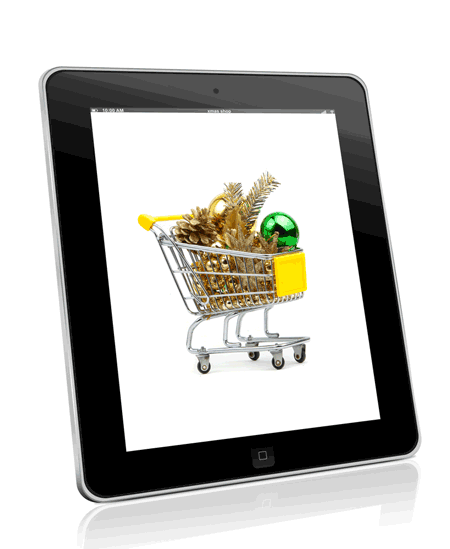 In fact, between November 22nd and December 22nd of last year online sales topped $1 billion every single day. To simplify all of the statistics, more people are shopping online, especially mobile, and the holiday shopping season is longer than ever. How does this affect your marketing strategy? 1. Make sure that your website is optimized for mobile. 2. User Experience is more important than ever. With the clear emergence of mobile shopping last year there is no reason to expect that trend to slow down this holiday season. Make sure that your website is optimized for mobile use, because if users aren’t happy with your site your chances of earning a conversion are much lower. That brings us directly into point #2, User Experience is more important than ever. A study driven by Adobe last year found that 57% of consumers will abandon a website if it doesn’t load within three seconds. Consumers are getting spoiled, so don’t let your site be left behind because it isn’t up to date. Personalization can also fall under the umbrella of User Experience, but it’s importance should not go unnoticed. More services are offering personalization, because the technology is becoming more readily available. Whether it’s an email or a landing page, personalization engages the consumer and leads to more conversions.